Japan Industrial Imaging Association (JIIA) is a Japan-based organization leading technological innovation of industrial imaging. JIIA promotes a global community for organizations related to industrial imaging, thus contributing to the development of industrial imaging standards and products worldwide. As Japanese industrial imaging companies cover a wide range of the market, JIIA is uniquely positioned to act as a leading developer of industrial imaging technologies. Such categories include industrial cameras, input devices, image processors, image processing software, optical instruments, lighting equipment, and measurement and analysis machinery. CoaXPress (CXP) is the world’s leading standard for high-speed imaging in professional and industrial imaging applications such as machine vision, medical imaging, life sciences, broadcast and defense. CoaXPress is an interface to connect cameras to frame grabbers. It combines the simplicity of coaxial cable with state of the art high speed serial data technology, allowing up to 12.5 Gbps data rate per cable, plus device control and power in the same cable. CoaXPress is a point-to-point scalable interface. The physical medium between the camera and frame grabber is 75 Ω coaxial cable. 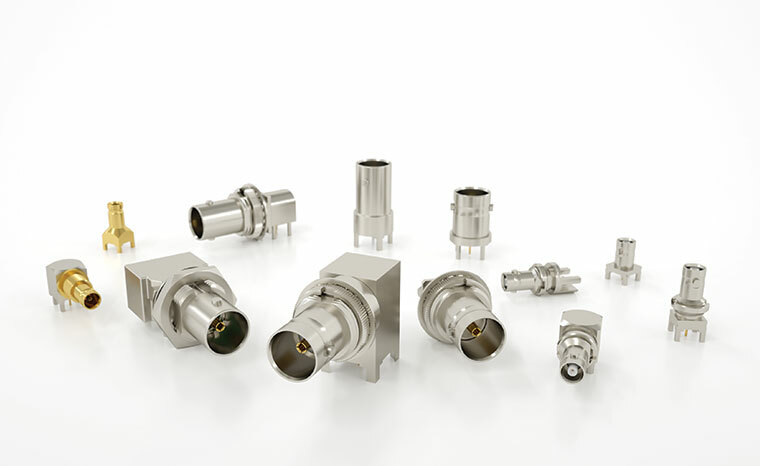 Samtec has a large variety of compliant CoaXPress 2.0 HD-BNC 75Ω connectors and components.